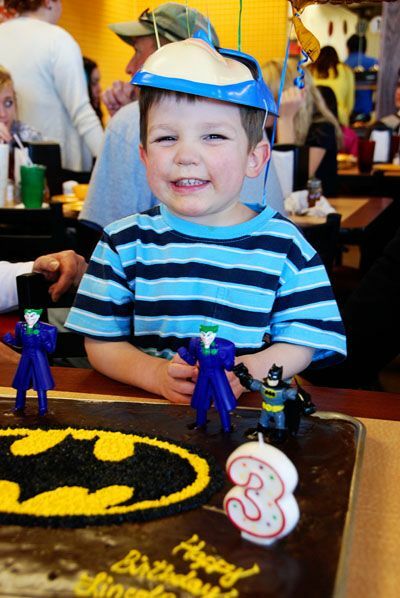 Last weekend, we celebrated Max and Lincoln's birthdays with a Batman-themed birthday party with their Grandparents and cousins! 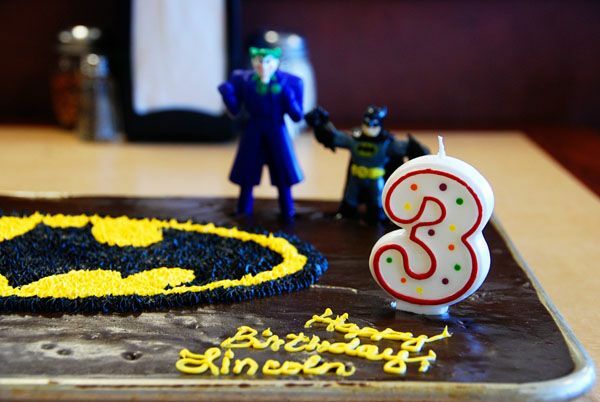 When I asked Max and Lincoln what kind of party they wanted, they both shouted, "BATMAN!" Batman is ALL THE RAGE around here. Along with Star Wars, LEGOs, and chocolate. 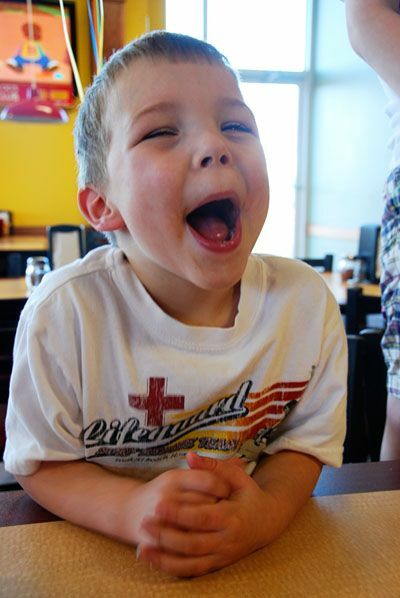 The boys love the pizza shop that is close to our house, so we decided to have their party there. No cooking or clean up for me = happy Momma - who can actually enjoy her buddies b-days without all the fuss of kitchen-related duties. 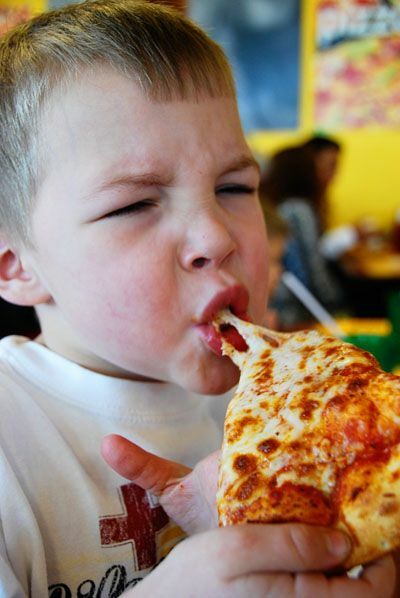 And, these boys LOVE pizza. 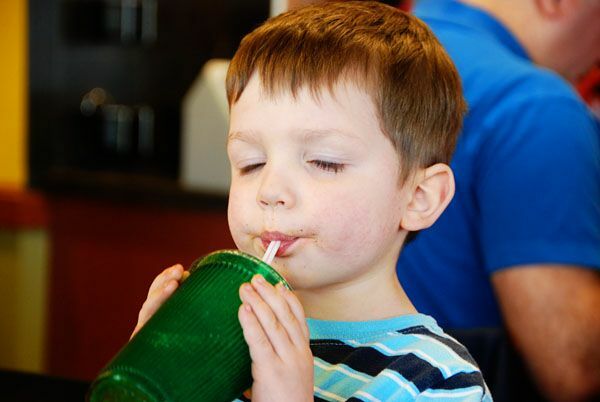 And, since we don't drink soda, having a Sprite was a really special treat, too! While I didn't want to cook or fuss with food, I did bake and decorate their birthday cake. 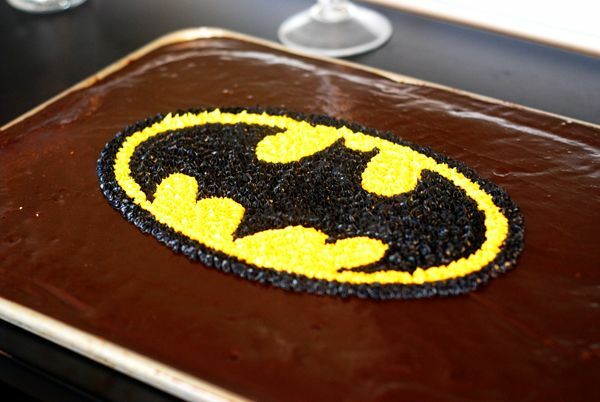 Pioneer Woman's Chocolate Sheet Cake + Momma's mad Batman decorating skillz. I absolutely loved making this for them. We dug through the toy bins to find some Batman characters and Voila! 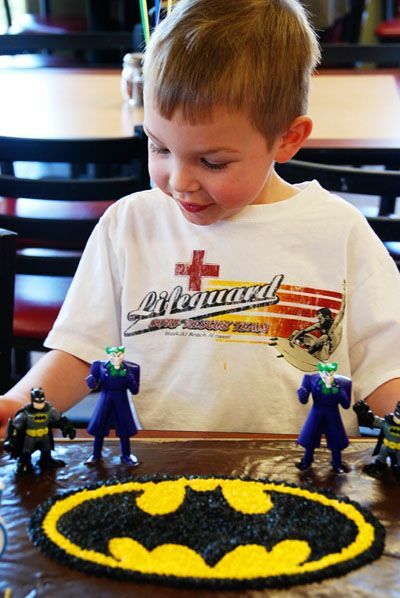 A cake perfect for my Batman-loving boys! 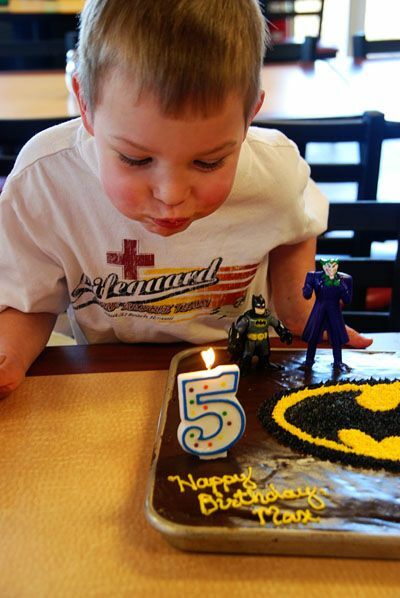 Happy Birthday to my FIVE year-old, Max! 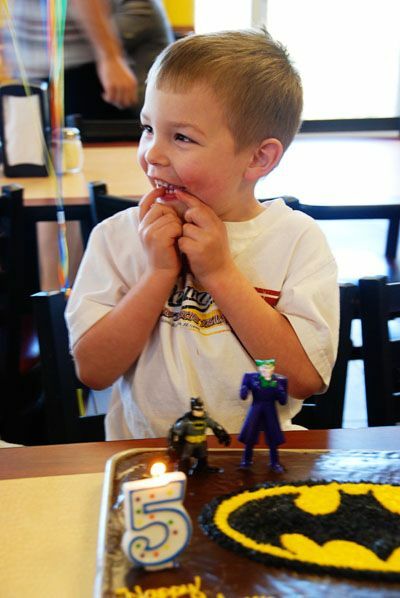 Happy Birthday to my THREE year-old, Lincoln! This child kills me with his sweetness. He is so entirely precious. One day he will grow up and leave me and I don't know that I'll ever recover. When we began singing, "Happy Birthday" to him, he sat like this and stared wide-eyed at all of us. He's not about the attention and the drama. He is, however, still very much ALL ABOUT his kitchen. 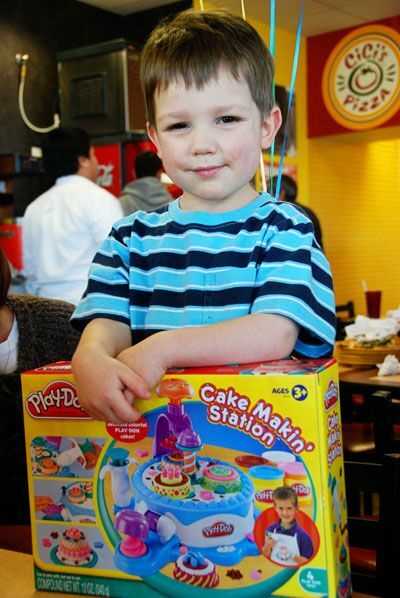 Anything kitchen - cake-makin' playdough, kitchen gadgets, food. 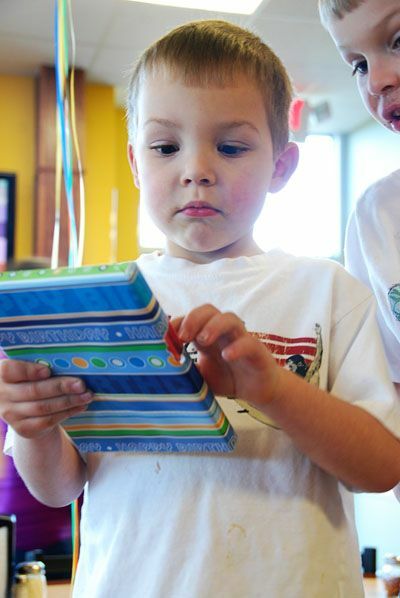 I cried seeing this little face so happy at his party. My Mr. Max. He turns five on Sunday. I can't believe it. How? When? Whhhhhyyyy? He's gonna leave me someday, too. It's a cruel, cruel world. 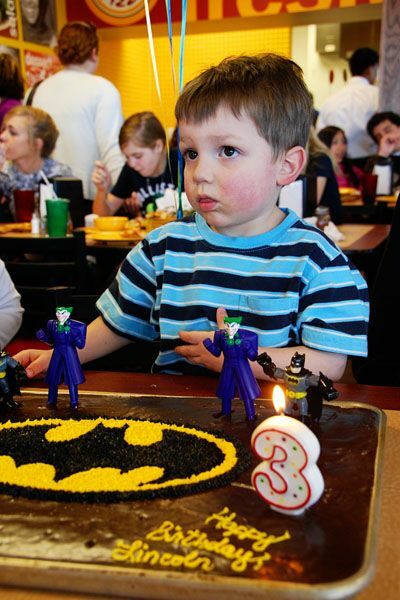 This boy was SO excited about his cake. And, unlike his brother, was all "BRING IT ON" with the singing and the attention and the drama. That is so very Max. He has been counting down the days til he could open his presents since CHRISTMAS! He never disappoints with his reactions. Ever. 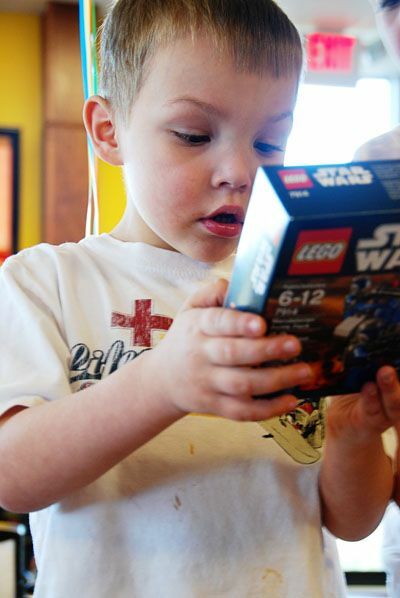 It was a Star Wars LEGOs kind of day for Max. Until he got Super Mario Brothers for our Wii from Grandma and Grandpa. I am so glad that I captured this photo when he realized what was under that wrapping paper. 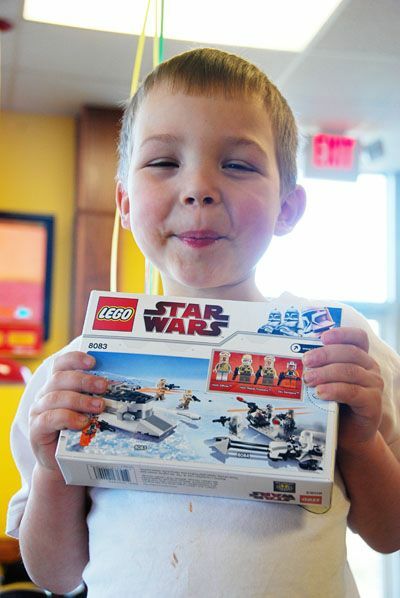 This was such a great surprise for him and he's loving it! Max's joy made this day so much fun for us! And, now that we live in the same town, the boys got to share their party with their cousins. Being with family. Surrounded by Grandma and Grandpa and their very best friends. That was the best part of all! 3 is MY. FAVORITE. 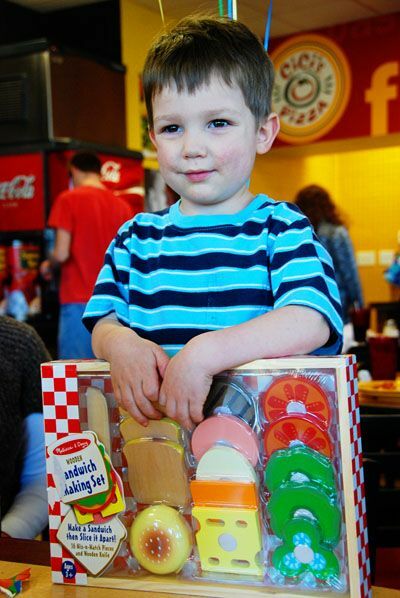 age ... my youngest grandson is 3 and I could just eat him up. Happy Birthday to your little guys! Looks like everyone had a great time. 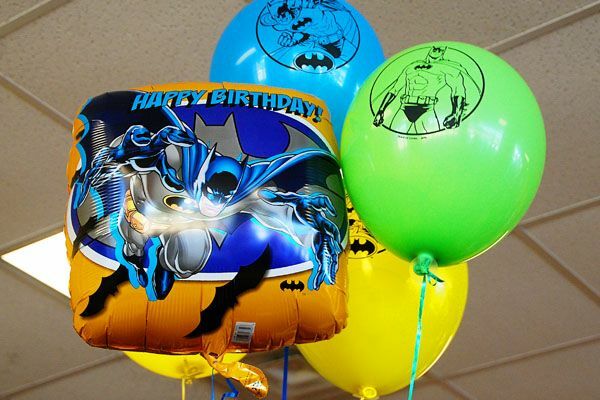 :0) I love planning birthday parties. Very cute! 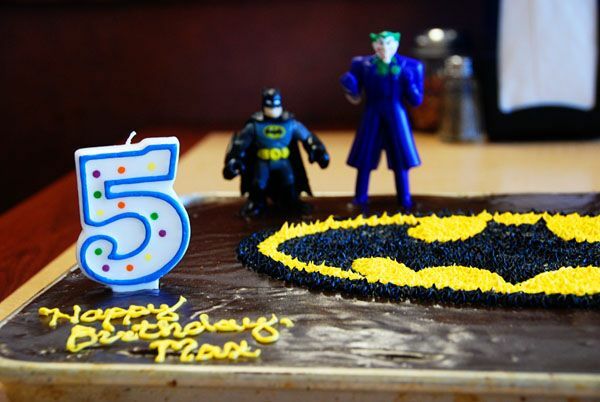 And that cake batman sign ROCKS! The last picture is my fav - as Lincoln holds the balloons and is looking up at them! Happy Birthday(s) to the boys! 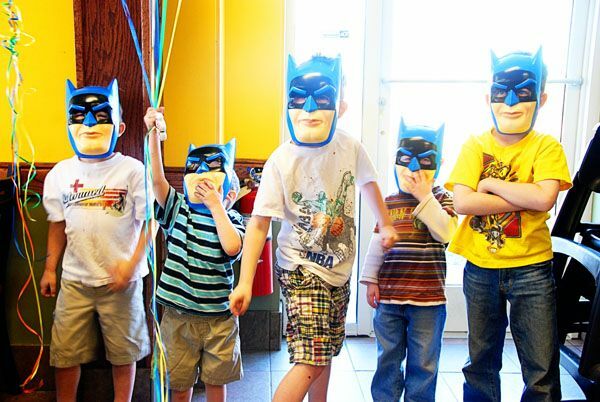 Looks like a great birthday party. Happy Birthday to Max and Lincoln! 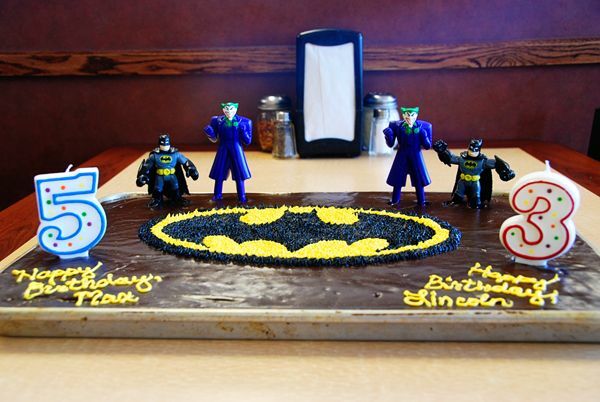 Looks like a fun party and you did an awesome job on the cake! Ginger, Terri, Cheri and I went out last night. We were talking about how much Max and Lincoln were looking alike lately. They are both so cute!